Journey into the archive with our new online gallery. 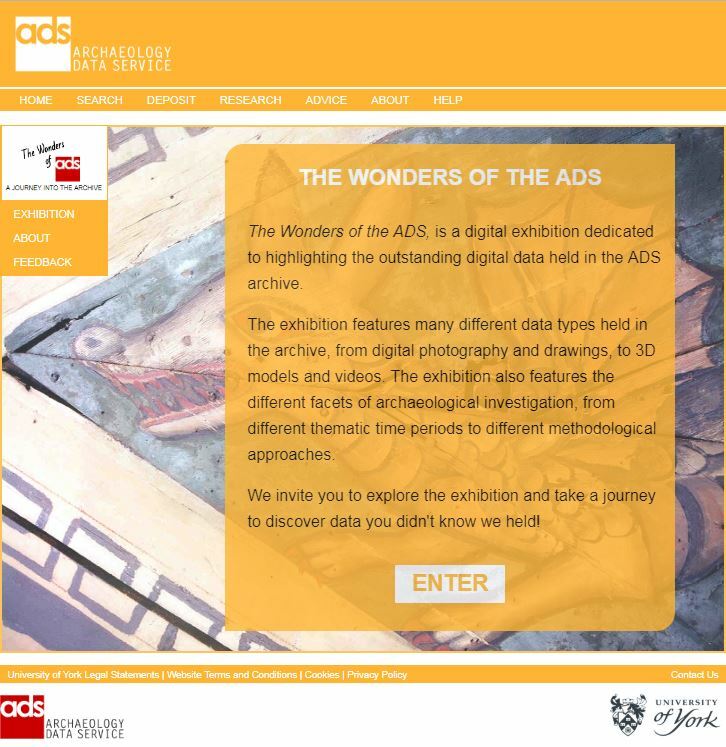 The Wonders of the ADS, is a digital exhibition dedicated to highlighting the outstanding digital data held in the ADS archive. The Wonders of the ADS digital exhibition developed out of a collaborative project with Carlotta Cammelli, a Leeds University MA Art Gallery and Museum Studies student as part of her Masters dissertation. The project entitled Unearthing the Archive: Exploring new methods for disseminating archaeological digital data aimed to develop an innovative online approach to present specific digital objects (such as photographs, drawings, documents, videos and 3D data files) from the ADS collections in order to increase public engagement with the data in our archive. Traditionally the ADS is used by researchers with specific interests in mind. The structure of the ADS into individual archives also means that sometimes interesting material can be buried within the vast quantity of data held by the ADS.